Bay area friends. 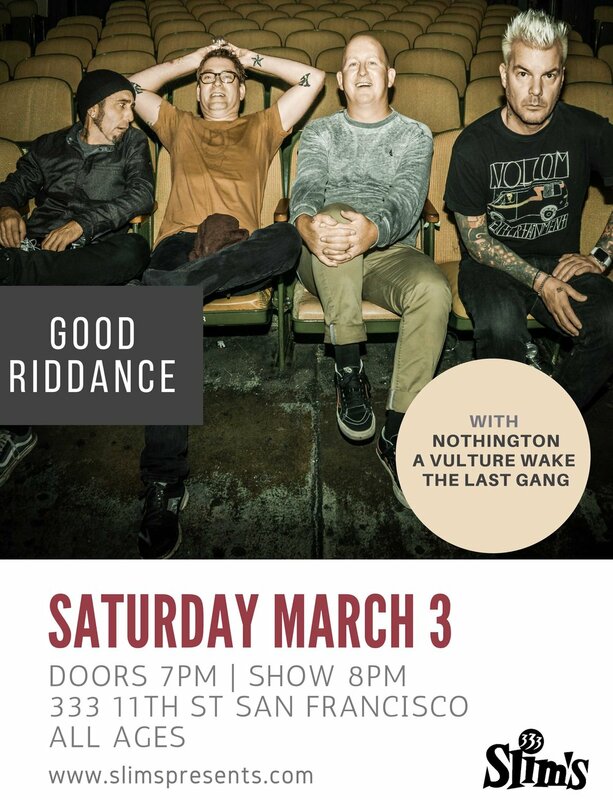 We're excited to announce that Good Riddance will be performing at Slim's in San Francisco on Saturday, March 3 along with friends Nothington, A Vulture Wake, and Fat Wreck Chords' newest signing, The Last Gang. Tickets are on sale and going quick. See you in the pit.